Park Geun-Hye, Park Chung-Hee and Jeju naval base: Why Park Geun-Hye should not be the President? According to ‘Yeoreumgigi ‘ who put the post, the title of the Time, Asian version reads, ‘The Strongman’s daughter’ and the article title is ‘History’s Child.’ See the link above. 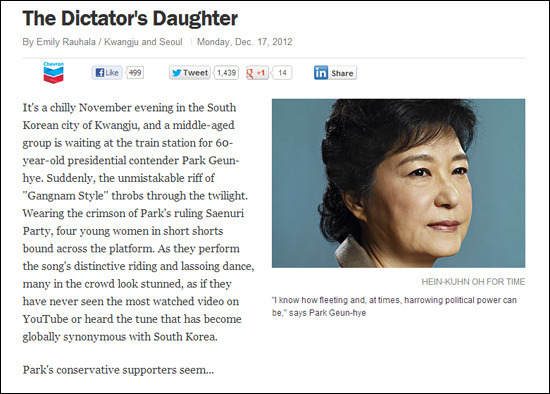 Park Geun-Hye is not only physical but spiritual heir of the deceased ex-President Park Chung-Hee who ruled South Korea with military dictatorship for 18 years. 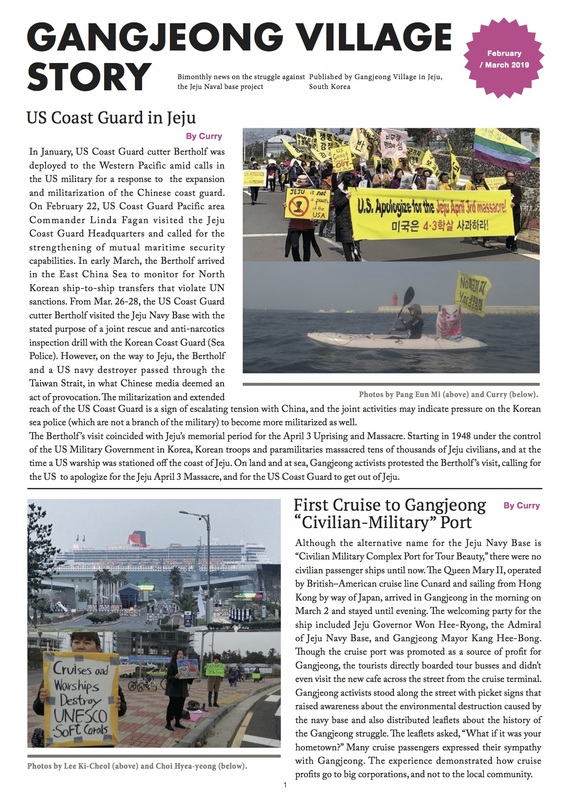 At the time of the President Park Chung-Hee (1961 to 1979), the ROK Government proposed the United States through a security meeting to use the Jeju Island in any forms of whatever bases, including strategic Air Force base or naval base. According to the archive of the Kyunghyang Shinmun, an article appears in the 1st page of June 6, 1969. Here is the whole translation of the short article. [..] An article in the Dec. 12 edition of the Washington Post made reference to a memo sent earlier this year by members of the Saenuri Party (NFP) presidential candidate’s camp.